Kaiser Permanente has opened a new clinic in Burien. 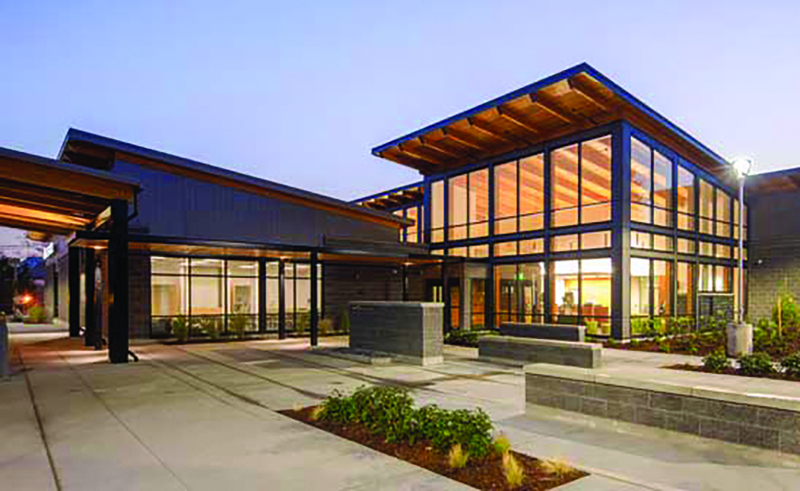 Kaiser Permanente’s newest Washington clinic replaces an old one in Burien. The Burien Medical Center, which opened Nov. 1, features state-of-the-art technology in a 23,000 square-feet complex that Kaiser “will serve our members for decades to come with quality care,” said Susan Mullaney, president of Kaiser Foundation Health Plan of Washington. The center has a light-filled lobby, exam rooms, natural finishes, a water feature, a fireplace and a covered drop-off area. It offers retail eye care services for Kaiser Permanente members and non-members, a pharmacy with over-the-counter products, expanded physical therapy services, and short-term counseling. The new medical center replaces the existing 53-year-old structure which is scheduled for demolition to make way for a 151-stall parking lot. CollinsWoerman was the architect and Ryan Companies U.S. Inc. served as general contractor. CBRE led the design and construction effort. Log in | 49 queries. 1.304 seconds.